In a field where technology is providing great insights into the flooring industry, it’s still important for every flooring professional to have the right tools for the job at hand. No matter how accurately your floor saw cuts or your flooring jack snugs the boards in, the floor you’ve just installed can be at risk if you neglect accurate moisture measurement in the flooring itself, or in the subfloor. What are the necessary tools? Well, you probably have some of them on hand already (because flooring is what you do best), but let’s look at how some common tools and some new technologies relate to moisture testing (because that’s what we do best). Here are seven tools – both high-tech and “low” tech – that can save your time, money, reputation and sanity on the job site. 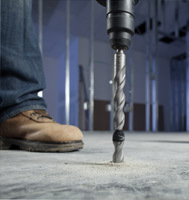 There are numerous uses for a drill bit on the job site, and the right one will make cleaner, faster and easier installations possible. Nowhere is this truer than when working with a concrete subfloor. A good hammer drill bit will save time and labor costs by cutting through the concrete and even cleaning up behind itself in some cases. What’s not to love about that? It becomes crucial when relative humidity (RH) testing is the moisture test method specified for a concrete subfloor. For both accuracy and standards compliance, test holes must be drilled to 40% of the slab depth1, and be clean of debris before the RH probe or sensor is installed. For prepping RH test holes, a quality rotary hammer drill is the obvious choice. What features are most important for a hammer drill bit? The SDS Masonry Drill Bit is designed with four carbide inserts and easy-start center point for efficient drilling, and its fluted design makes dust removal part of the process so that wire-brushing and vacuuming requirements are easier to complete. For even simpler test hole prep, the Hilti TE-CD hammer drill bit combines drilling and vacuuming into one procedure so that test holes are both drilled and cleaned of debris at the same time. A number of ambient conditions will impact the drying schedule of a concrete slab and the success of a flooring or coating installation. An infrared thermometer is an effective way to assess conditions both in and around the slab when preparing to install a flooring system with adhesives, or applying a finish coating. Our infrared thermometer provides quick and accurate assessment using Celsius or Fahrenheit readings to give instant verification of product installation conditions. pH conditions can be the boon or bane of any flooring installation. With the wide variety of admixtures available for concrete production today, it’s critical to know pH conditions before attempting any floor installation or even applying a sealant or coating to a concrete subfloor. Measured in conjunction with RH testing, pH readings should be an integral part of determining a slab’s readiness for the final flooring system. 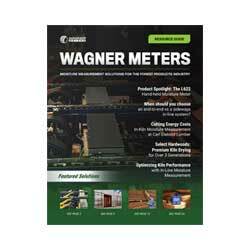 Here at Wagner Meters. 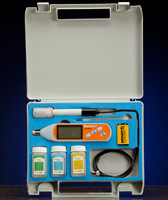 we offer a portable, digital pH meter that contains everything a flooring professional needs to determine the pH levels of a concrete slab and to verify that it falls within the flooring product specs. RH testing is the most accurate method for measuring concrete moisture and knowing how it will impact the floor system over time. Based on decades of research, RH testing entails probes, or sensors, within the slab at the correct depth necessary to determine the final moisture condition of the concrete slab if it were sealed at that point in time. It’s a long-range assessment of final moisture conditions that might impact the finished floor. The Rapid RH® 4.0 EX is the latest version of the award-winning Rapid RH® concrete moisture test method from Wagner Meters. Smart Sensors are embedded in the slab, where they remain equilibrated for the duration of the testing period. Fast and accurate readings are made as often as possible with the Easy Reader with Touch-n-Sense™ technology. For flooring professionals and building inspectors, this means a significant amount of savings in time, test materials, and labor, while complying fully with ASTM requirements (F2170). The Rapid RH® Complete Starter Kit contains everything necessary for getting started. 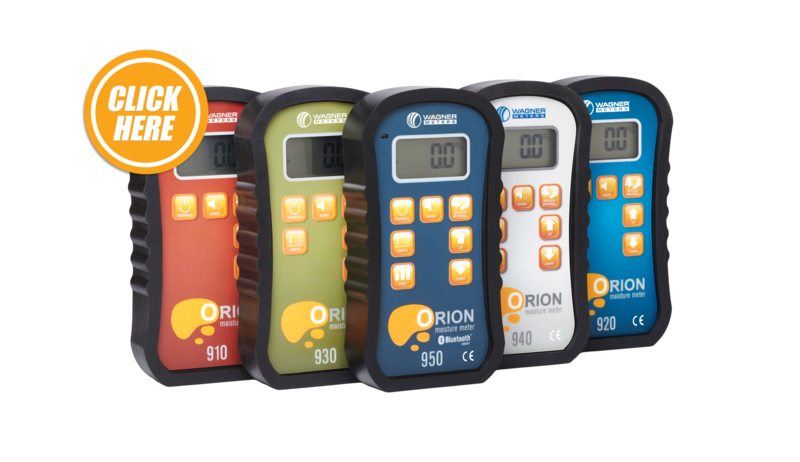 Or sensors and Easy Readers can be purchased separately to expand capacity for larger job sites. Moisture measurement can be a critical step for any level of a flooring system. When installing wood flooring over any subfloor, or assessing other building materials, a good wood moisture meter is critical for accurate moisture measurement. A basic wood moisture meter can provide general readings, or higher-end wood moisture meters can measure moisture content specific to wood species, as well as providing simple data analysis. Wood moisture meters are also useful for building inspectors or general contractors who are required to assess a number of materials around a job site. A good meter will provide relative moisture readings to help identify potential areas of problematic moisture content. 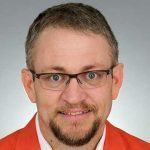 For industry compliance and for liability concerns on the job site data collection and reporting is just as important as accurate moisture measurement. 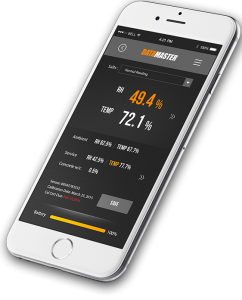 The DataMaster™ app connects to our Bluetooth® Smart Reader for wireless, digital reporting of all your RH data. Ideal for reporting, the DataMaster™ app simplifies the reporting process by eliminating potential manual errors in recording data results and organizes the information by the job site and date. When using Rapid RH® DataMaster™, reporting, file sharing and archiving are streamlined through www.f2170reports.com. Data is simply uploaded to the website, and ASTM-compliant reporting is just a few clicks away. The website also includes an industry forum for the latest help and resources for industry news. Whether establishing your own collection of tools or updating your options for the best in moisture measurement, these 7 tools can be the heart of a winning tool team for flooring professionals and building inspectors alike. 1 40% of slab depth is the correct hole depth when the slab is drying from one side. For slabs that dry from two sides, testing has established that 20% is the correct test hole depth.